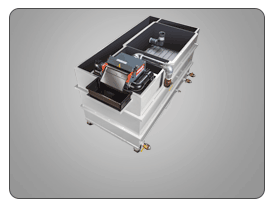 Complete Metal Scrap Volume Reduction and Fluid Separation Systems. Reduce small to medium volumes of turnings and bushy wads to flowable metal chips and separate chips from fluid for increased value of machining scrap and cutting fluid. 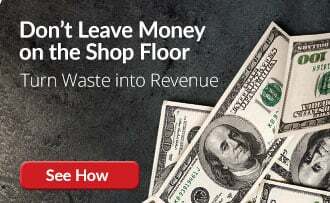 PRAB’s turning & chip processing systems automate scrap removal- improving productivity, reducing the potential for injury and minimizing environmental and business risks. 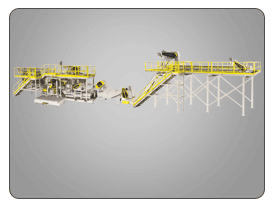 Typical scrap removal systems include the crusher/wringer, shredder/wringer, or compact, skid-mounted e-series systems. Reduce volumes of large bundles and stringy turnings. This scrap metal equipment delivers dry, shovel-grade chips and reclaims up to 99% of valuable coolants and cutting oils. PRAB Turning & Chip Processing Systems help meet Federal EPA and ISO 14001 regulations and strict environmental compliance. 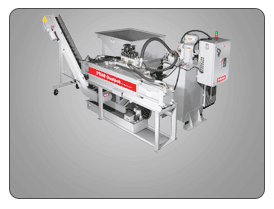 The turning & chip processing system allows production to operate in safer work areas by reducing the volume of metal scrap which requires less storage space prior to recycling. Scrap metal recycling begins with volume reduction. The often tightly wound steel turnings and other types of metal turnings that are generated from various machining operations need to be safely and effectively crushed or shredded by scrap metal equipment. For optimal chip processing, the metal must be in flowable, thumbnail-size chips. To reach this point, long turnings produced from milling, screw machines, swiss machines, drilling, and other metalworking operations must be reduced to flowable chips. 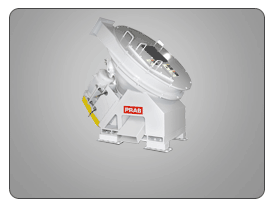 PRAB’s turning & chip processing systems automate this process and improve productivity, reduce the potential for injury, and minimize environmental and business risks. Process loose metal turnings into flowable chips. Our scrap metal recycling system couples volume reduction with fluid separation to produce dry chips and reclaim up to 99% of valuable coolants and cutting oils.